You know this thing about Dawn of the Croods Games? We are here with a brand new category appeared on our site, the Dawn of the Croods Games category where you will meet the Croods, a prehistoric tribe which has a lot of adventures and funny moments. I am sure you can find some games on your taste here on our site. In Dawn of the Croods Games you can find 9 games that we've published for these kids and childrens that are interested to play Dawn of the Croods Games, this game gategory have been created on 24.08.2017. These games with Dawn of the Croods Games have been voted 1 times and the avarage of vote is 5.00 stars. We advice you to play the last flash game from Dawn of the Croods Games, Croods Word Search that have been published on 07.09.2017 22:00. Croods Word Search its a part of Dawn of the Croods Games category and until now its played 595 times. Try it now on Cute-Games.com! 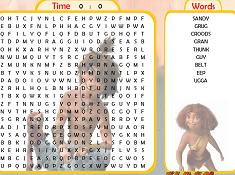 If your like the Croods Word Search game you can write a comment in the game page. Recommend this game to your friends if you like it! 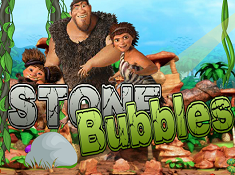 Stone Bubbles its a part of Dawn of the Croods Games category and until now its played 627 times. Try it now on Cute-Games.com! If your like the Stone Bubbles game you can write a comment in the game page. Recommend this game to your friends if you like it! 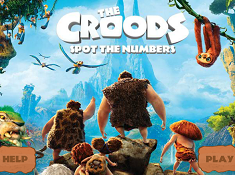 Croods Spot the Numbers its a part of Dawn of the Croods Games category and until now its played 586 times. Try it now on Cute-Games.com! Dawn of the Croods Swap Puzzle its a part of Dawn of the Croods Games category and until now its played 520 times. Try it now on Cute-Games.com! 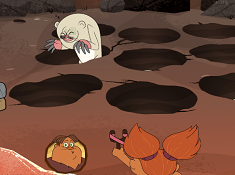 If your like the Dawn of the Croods Swap Puzzle game you can write a comment in the game page. Recommend this game to your friends if you like it! Molar Bear Scare its a part of Dawn of the Croods Games category and until now its played 497 times. Try it now on Cute-Games.com! If your like the Molar Bear Scare game you can write a comment in the game page. Recommend this game to your friends if you like it! Find More About Dawn of the Croods Games! Dawn of the Croods Games is a new category appeared on our site inspired from an amazing animated television series from Netflix. 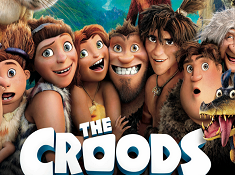 The series appeared after a great movie called the Croods. It has a great success so Netflix decided to create an animated television series after the animation. In the series you will meet some prehistoric men and you will follow their adventures in the Stone age. The action from the series is before the film where the heroes faced new enemies, creatures and had new adventures. They have to learn how to survive, how to hunt in order to have food. In the animated television series you will meet Eep and her family. They live in a cage and from time to time they go out hunting but only when the time is right because they do not want to meet dangerous creatures. They must stay in the cave during the night when outside are a lot of dangerous creatures. Grug is the father and the leader of the Croods. He is overprotective with his family. Eep is the rebellious teenager who wants to explore the world, to have great adventures and to learn new things every day but her father does not allow her. Guy is a boy from another tribe who is very smart. He is not as strong as the Croods bu he can use his brain to come up with new ideas that can help the heroes in all kind of situations where strength is not useful. Ugga is the mother from the family. She is open minded not like her husband but he also wants to keep her family safe all the time. They will have a lot of adventures together and they have to work like a team to stay safe. I am sure you will have fun watching this new animated television series from Netflix. 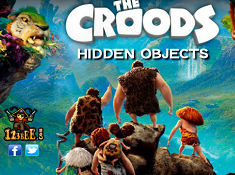 On our site you can find for the first time games with the Croods. 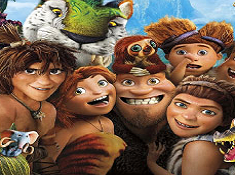 In the Croods games category you are going to have all kind of challenges, I am sure you will love them. You have games where your creativity is going to be testes, for example the game where you have to color an image with the family. If you have imagination and patience I am sure you can make a great job. 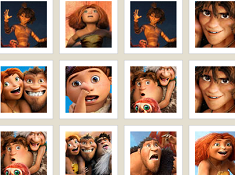 If you want to keep a memory with the Croods you can save in the end the image. You will get also an eraser that you can use to erase the color in the places where you want to use another color or where you have colored by mistakes. 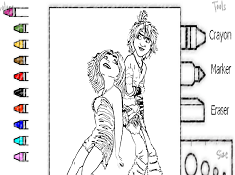 In this coloring game with the Croods you need the mouse to complete your tasks step by step. In the left you will get the colors and in the right side you have the eraser. Do not give up if you can not make a great job from the first attempt, try again and I am sure you can do better. Another interesting game is the memory one where at the beginning for five seconds you can see all the cards with the image up. Then they will turn with the face down and you have to start searching for the pairs. If you find them all you can get a lot of points. In some games from Dawn of the Croods Games category you will get points and they can help you become famous. You are going to enter in the top of the best players if you have a big score and you will prove to everybody how good are you. If you can not handle the challenges from the first attempt you should try again and I am sure you can do better. Give us a like if you had fun playing games in Dawn of the Croods Games category and leave us a comment with your favorite game. A g plus can promote the Croods games category for all the girls and the boys who love the series and the movie. If you fail to complete your goal you do not have to worry, you have to start the game from the beginning and I am sure you can do better. In these games you will get a lot of challenges and I am sure you can find something you like.